With the confirmation of Kavanaugh and the process which led to it, (and the treatment of Merrick Garland), the legitimacy of the Supreme Court can justifiably be questioned. The Court must now prove – through its work – that it is worthy of the nation’s trust. Earlier Saturday, Judge Kavanaugh was confirmed 50-48 and sworn in hours later by Chief Justice John Roberts and retired Justice Anthony Kennedy in private ceremony. The newly-minted justice will begin work Tuesday in two cases involving prison sentences for repeat offenders, according to the Associated Press. 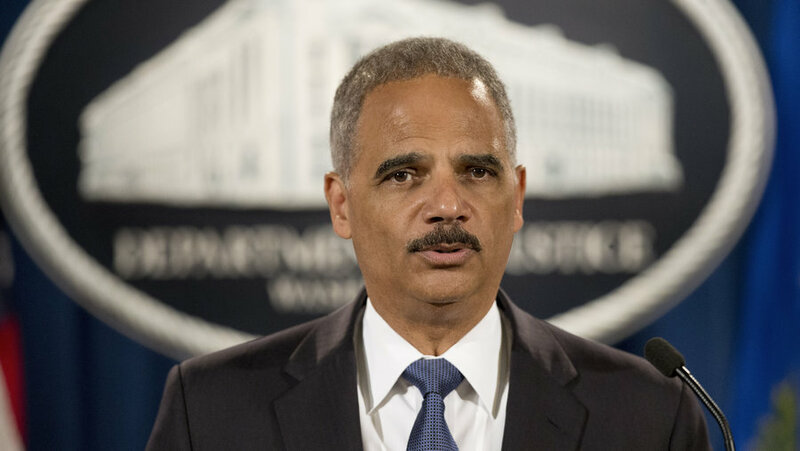 We can hope that this is the begging of returning the justice system, and that seditious crooks like Holder, Clintons, will spend the rest of their lives in prison, better yet the gallows. No surprise. We have a preview of the new globalist take over talking points. Disagree with the lefty elite and you can’t possibly be legitimate. Holder is a criminal and a moron with a single digit I.Q. He should learn to read and pick up a history book sometime.